Send your belongings to and from Purdue University with My Baggage! For $10 off your first booking, use the code UBPU10 at booking! Here’s how to use it. My Baggage offers convenient and affordable college shipping services to and from Purdue University. We help thousands of students transport their luggage every single semester! We provide full online luggage tracking, as well as convenient door to door collection and delivery services and dedicated customer support. Get a quote today! Purdue University is a public research university located in West Lafayette, Indiana and is the flagship campus of the Purdue University system. The university was founded in 1869, after Lafayette businessman John Purdue donated land and money to establish a college of science, technology and agriculture in his name. Moving all of your personal belongings to and from college doesn’t have to be a stressful experience. Forget having to haul your suitcase or heavy bags through train stations and airports; My Baggage’s convenient luggage shipping services are the perfect solution. With My Baggage, transport your stuff to and from Purdue University is easy. Our secure, easy to use online booking system is available 24/7 and takes just a few short moments to complete. Simply start by obtaining a quote straight from our homepage. Once you’ve booked your shipment, we’ll send you some shipping labels to print and attach to your items. After that, you can sit back and relax as we collect your shipment and deliver it straight to where it needs to go. Booking with My Baggage really is that easy! If you are an international student travelling to or from Purdue University, My Baggage can help you transport your personal belongings overseas without any stress. Wave goodbye to expensive airline baggage fees. My Baggage offers a generous weight allowance of up to 30kg/66lbs for as little as £79 to Purdue University. When you book with us, thanks to our low rates, you’ll have the freedom to take many more of your belongings with you than if you were simply relying on a few checked pieces of luggage. What’s more, shipping your baggage with us makes that tedious wait for the appearance of your suitcase at the luggage carousel a thing of the past. Not to mention the possibility of your suitcase not appearing at all. My Baggage ships your luggage quickly and safely. We understand that when it comes to your luggage and personal belongings, it’s only natural to feel some apprehension about handing everything over to a delivery driver. At My Baggage, we strive to provide a luggage shipping service you know you can trust. My Baggage’s convenient door to door collection and delivery service means you don’t have to go through the hassle of dropping all of your luggage off at a drop-off point, nor will you have to collect it from a pick-up point at the other side. We offer collections and deliveries straight from the Purdue University main campus. My Baggage will keep you updated about your shipment from the moment you place your booking until the moment your items arrive safe and sound. To give you that extra peace of mind, we provide full online tracking to allow you to monitor the status of your shipment. If you happen to have any questions or concerns along the way, our dedicated customer support team can help. Thanks to many years of experience in logistics, our team are experts when it comes to shipping personal belongings all over the world. If you require assistance, you can contact our customer support team via phone, email and live chat. 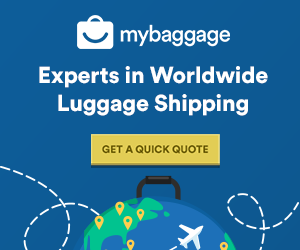 International luggage shipping to 200+ countries, across 1,00 routes.